The University of Lausanne is a Swiss state university founded in 1537. It is focused on Medicine, Life Sciences, Geosciences, Environmental Sciences, Business, Humanities, Social Sciences and Sport Sciences. 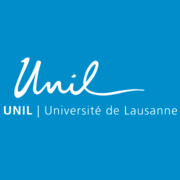 UNIL is a research-intensive university which encourages interdisciplinarity. It is also renowned for its innovative teaching methods. Ecologie Politique: défi de la durabilité pour les démocraties via Coursera 4 weeks long 4 weeks long 22nd Apr, 2019 No reviews yet. Challenging Forensic Science: How Science Should Speak to Court via Coursera 2-3 hours a week , 5 weeks long 2-3 hours a week , 5 weeks long 29th Apr, 2019 No reviews yet. La science forensique au tribunal: témoin digne de foi ? via Coursera 2-3 hours a week , 5 weeks long 2-3 hours a week , 5 weeks long 29th Apr, 2019 No reviews yet. 6th May, 2019 No reviews yet.